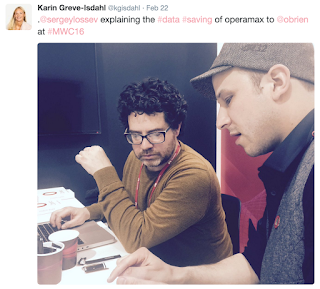 Still jet lagged from MWC 2016 . Sitting back in MV, trying to parse and analyze everything that happened at MWC . It is a gargantuan task, considering how much is packed in a short 4 days. Throw in the jet lag on both ends of a 16 hour flight (for those of us coming from Silicon Valley out to Barcelona) . Throw in the tapas , wine, and parties. Throw in all of the exciting business opportunities, ideas, meetings, and you can't help but feel a bit like you are in the tornado of news. 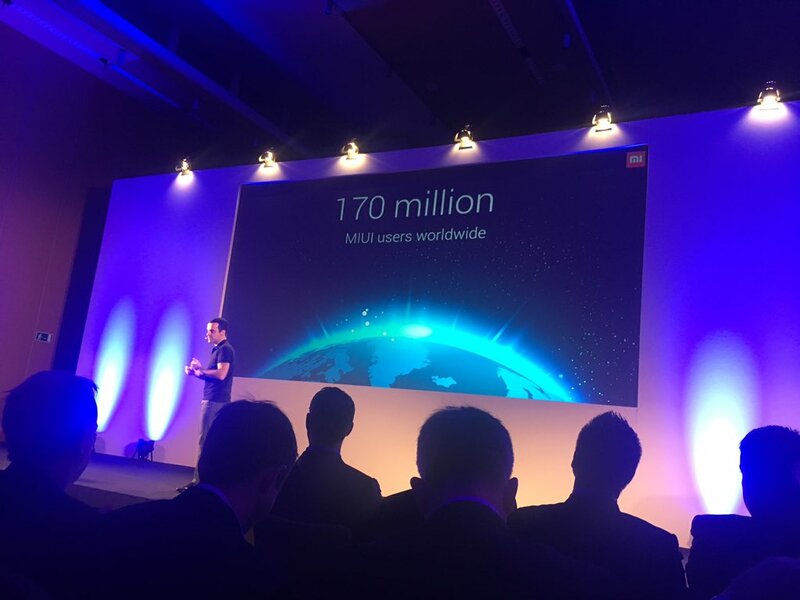 This year the show was bigger than ever, and the 2 days of metro strikes made Barcelona feel like it was bursting at the seams with 100,000 mobile professionals, hackers, geeks, executives, and media. For Opera this is an extra exciting time. 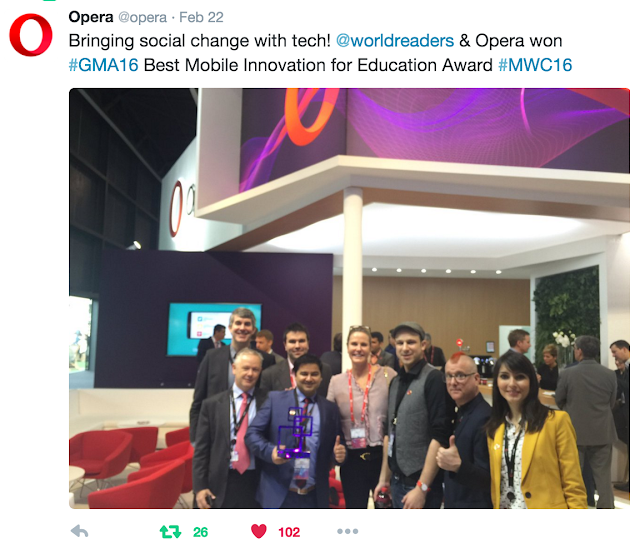 We are in the midst of having a bid by China's Electornic Arts aka Kunlun for acquisition of 100% of Opera stock . 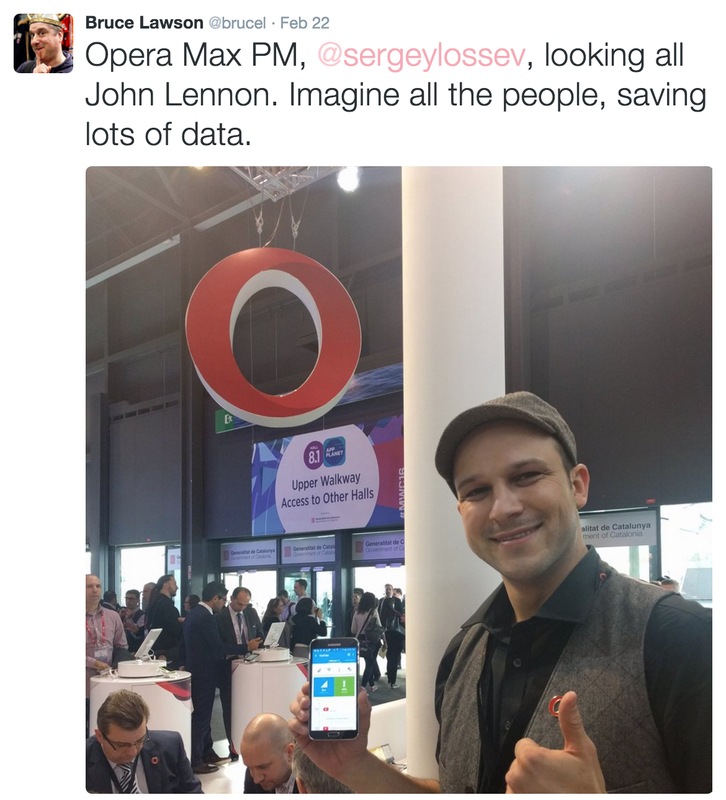 We also have a portfolio of products that are exploding with growth : Opera Max , Apps Club , Coast , Opera for Android, Opera Mini , Surf Easy , Opera Mobile Store , Opera TV. 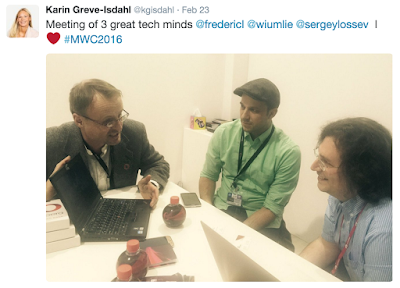 The other pics in this post are screenshots of tweets with pics of meetings with Frederic from Tech Crunch , Obrien from Venture Beat, Hakon CTO of Opera (inventor of CSS) , and shot of me next to the logo complements of Bruce Deputy CTO / HTML 5 book author. The way her tight skirt pulls over her backside, highlighting the condition of the suspenders underneath the fabric.indian escorts in dubaiConfidence in a wonderful backup of Baker Street, and you will love it! Indeed it can be a critical minute in your life! Listen to your emotions and make the best venture you pick the way of vitality Baker Street. This is the most cost efficient way to deliver the gift of reading to those that crave it most in emerging markets in Africa , India, and Indonesia. The app's developers have created it with one.